An Israeli settler opened fire Monday morning towards a group of Palestinian farmers as they were trying to harvest their olive trees near Nablus city. 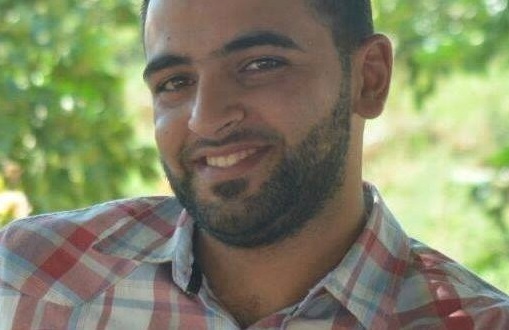 Palestinian official in charge of the settlement file in the northern part of the West Bank Ghassan Douglas told a PIC reporter that an Israeli settler got out of his car at the main road that links between Nablus and Ramallah and opened fire at the Palestinian farmers before fleeing the scene. No injuries were reported during the Israeli shooting attack. Israeli forces reached the incident area and opened an investigation into the attack. The Palestinian olive harvest has often been a point of friction between settlers and Palestinian farmers as Israeli settlers usually carry out attacks during the season. 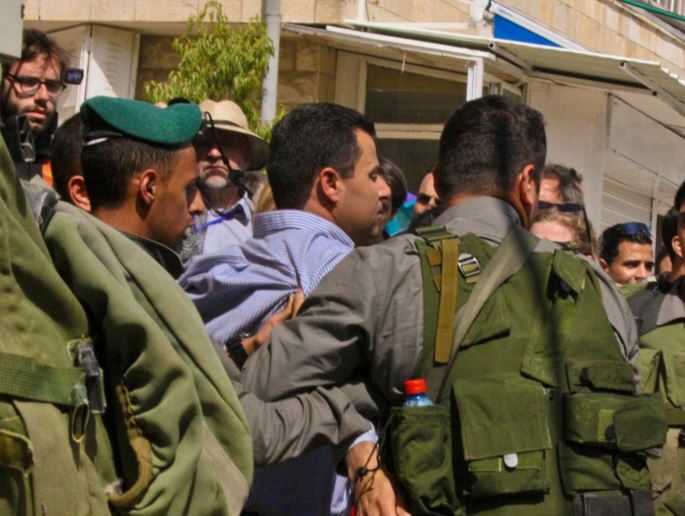 The IOF almost never intercedes and when it does, even if settlers are arrested they are rarely, if ever, prosecuted. 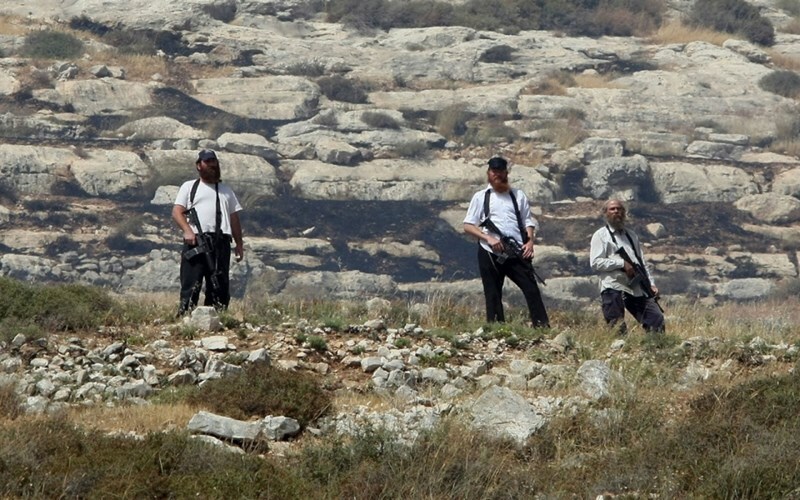 A horde of Jewish settlers on Sunday appropriated a vast tract of cultivated land belonging to Palestinians in Jalbun village, east of Jenin city. Local sources told the Palestinian Information Center (PIC) that the settlers removed the iron fence of this land, expelled the Palestinian farmers from it and brought their cows in for grazing. This tract of land constitutes 80 percent of the village and is located behind the segregation wall and near Merav and Gilboa settlements. The villagers are only allowed to enter it with special permits during the olive harvest season. A group of Israeli settlers stormed Monday al-Aqsa Mosque from the Israeli-controlled al-Magaribeh Gate under heavy police protection. 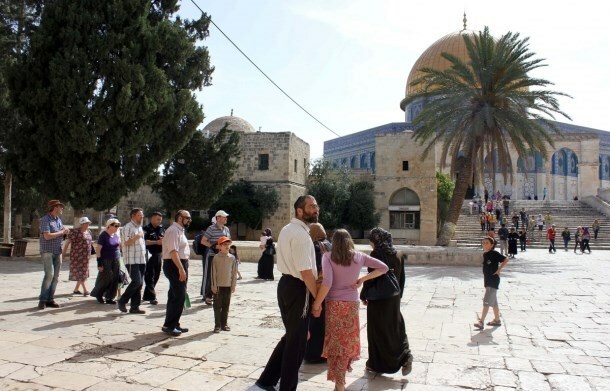 Eyewitnesses said that around 40 Israeli settlers broke into al-Aqsa compound in total provocation to the Muslim worshipers who started shouting Takbeer protesting against the settlers’ presence in the Islamic holy site. Israeli police had tightened since the early morning hours restrictions on Palestinians’ access into the Mosque, confiscating the identity cards of dozens of worshipers. Jewish settlers Sunday desecrated the plazas of al-Aqsa Mosque from the Magharebah gate under tightened security measures by Israeli police. Meanwhile, Muslim worshipers and sit-inners confronted settlers by chanting “Allah the Greatest”. The PIC reporter revealed that Israeli soldiers along with policemen deliberately confiscated the IDs of Palestinian youths at their entry to al-Aqsa Mosque and tightened security and search measures. Israeli police in the morning intensified its deployment at the streets and roads of the Old City of Occupied Jerusalem leading the Muslims’ holy site of al-Aqsa Mosque, according to eyewitnesses. Israeli soldiers have kidnapped, on Sunday evening, two Palestinians in the southern West Bank district of Hebron, while extremist settlers attacked and wounded a child. 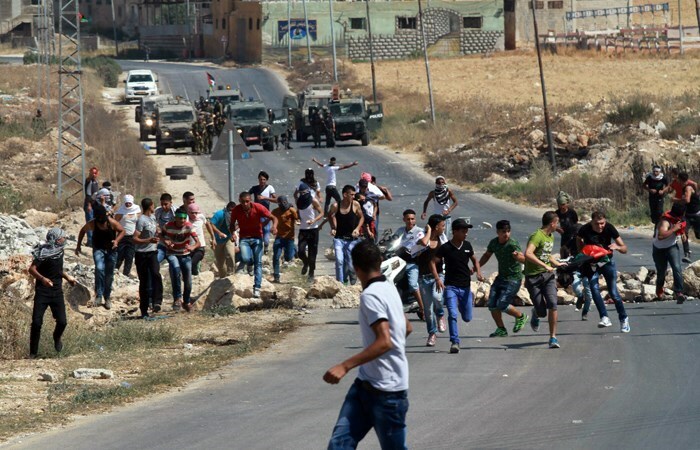 Clashes took place in Sinjel near Ramallah. The soldiers invaded Hebron in addition to the al-Fawwar refugee camp, south of the city, kidnapped one Palestinian identified as Abdul-Rahman Waleed at-Teety, 18, from al-Fawwar, and a young man, near the Ibrahimi Mosque in Hebron. The soldiers also stopped and questioned many Palestinians while examining their ID cards, and continued their strict closure and measures isolating the city. In related news, a number of Israeli fanatics, living in the Keryat Arba illegal colony, east of Hebron, assaulted a Palestinian child, identified as Thaer Fadel Ismael Da'na, 15 years of age, causing fractures, cuts and bruises. Medics rushed to the scene and moved the wounded child to the Hebron Governmental Hospital for treatment. In addition, clashes took place near the southern entrance of Sinjel town, north of the central West Bank city of Ramallah, after the soldiers invaded it. Eyewitnesses said the clashes erupted after around eight Israeli military villages invaded the town, and conducted searches in it, and the nearby Turmus Ayya town. The army fired flares, rubber-coated steel bullets and gas bombs; no arrests of injuries were reported. Israeli settlers, on Sunday, attacked Palestinian vehicles passing along Nablus-Qalqilia road with stones, whereas an Israeli settler attempted to run over a group of journalists at Za’tara checkpoint, south of Nablus, according to local sources. Ghassan Daghlas, who monitors settlement activities in northern West Bank, said a group of settlers gathered along Nablus-Qalqilia road and pelted stones toward Palestinian passing by vehicles. Meanwhile, an Israeli settler attempted to run over Palestinian journalists at Za’tara checkpoint, south of Nablus, while they were covering the Za'tara shooting incident; where soldiers shot and killed Sulaiman Shahin. The Israeli military claimed that Shahin ran over Israeli pedestrian settlers at the checkpoint, according to WAFA correspondence. The latest escalation in violence by settlers came in the aftermath of the Israeli attempts to divide al-Aqsa Mosque, Islam's third holiest place, between Muslims and Jews and the recent killing of the Dawabsha family in Douma, during which orphan four-year-old Ahmad lost his mother, father and 18-month-old brother Ali in a deliberate settlers' arson attack. Palestinian officials, including President Mahmoud Abbas, have repeatedly warned that dividing al-Aqsa will have dire consequences on the overall political atmosphere in the region. 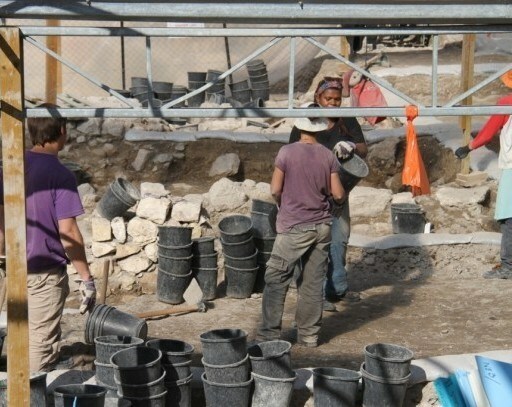 Israeli archaeologist Meir Ben-Dov called for ceasing ongoing Israeli excavations in Occupied Jerusalem city and giving up fantasies about the construction of an alleged temple mount. The archaeologist pushed for immediately giving up illusions on the construction of a third temple mount on the ruins of Muslims’ the holy al-Aqsa Mosque. “Excavations should stop to prevent an imminent destruction,” he said. He further called for halting visits to the al-Aqsa Mosque and to adopt the Jewish edict banning access to the "temple mount" (Aqsa Mosque). An anti-occupation Jerusalem Uprising has started since early October in protest at Israel’s desecration schemes and sacrilegious break-ins at the al-Aqsa Mosque—the third holiest site in Islam. A group of Jewish settlers Saturday blockaded a number of Palestinian pressmen in al-Shuhada Street in the Old City of al-Khalil who were covering clashes that erupted in the wake of settlers’ attack on Palestinians. Palestinian pressmen rushed to the Old City of al-Khalil after residents called for help and protection from settlers’ attacks. Israeli forces fired tear gas canisters at the pressmen and attacked some of them by beating. Settlers took over a number of institutions and houses in Tal al-Rumaideh district, al-Shuhada Street and two other neighborhoods. Local sources told the PIC reporter that settlers along with Israeli soldiers took over a house and broke its doors and stormed another house then assaulted its residents. Eyewitnesses said that Israeli troops broke into the headquarters of Health Work Committees which offer health services to the residents of the Old City and closed it for 24 hours. This Saturday morning, Israeli soldiers invaded the Youth Against Settlements center in Hebron and, also, the house of its coordinator. According to YAS Facebook page, Israeli forces detained three activists: Issa Amro, YAS coordinator, Francesca Borri an Italian Journalist and another German activist not identified as of yet. Settlers are in the center destroying property and tampering with its contents, with the help of the Israeli military, according to PNN. 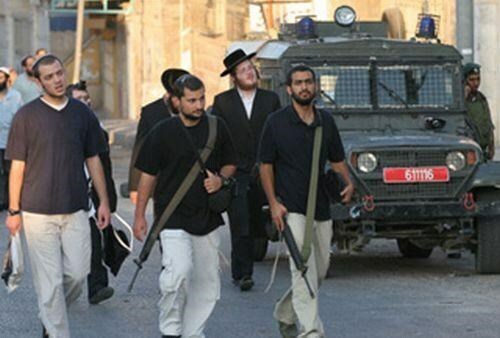 A number of Paramilitary colonialist Israeli settlers attacked, on Friday evening, several Palestinian homes, near the Keryat Arba’ colony, east of the southern West Bank city of Hebron. Soldiers open fire on a car in the city, invade a village near Jenin. 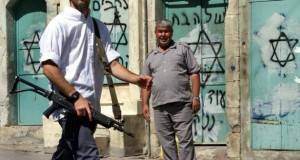 The WAFA News Agency has reported that the settlers attacked Palestinian homes in Wadi al-Hasseen area, Jaber neighborhood and Wadi an-Nassara, and hurled stones and empty bottles on the homes while shouting insults, and chanting "death to Arabs". 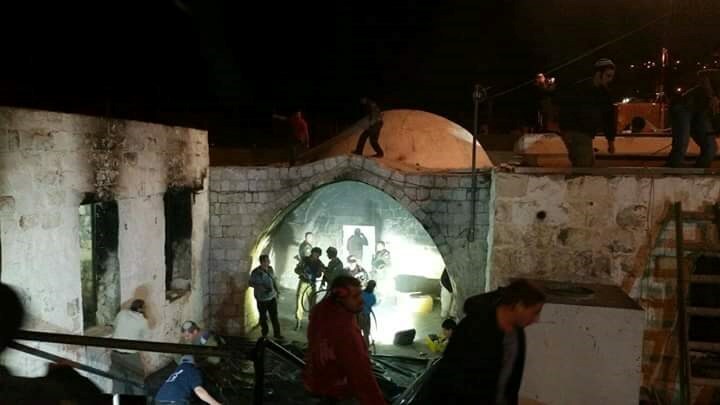 The attack took place as hundreds of colonialist settlers marched towards the Ibrahimi Mosque, in the center of Hebron city. In addition, Israeli soldiers fired several rounds of live ammunition on a Palestinian car, driving on a bypass road near Halhoul town, north of Hebron. Coordinator of the Popular Committee against the Wall and Settlements in southern Hebron Rateb Jabour, said the soldiers opened fire on a car, driven by resident Sha’ban Mahmoud Basal, shattering its front windshield; no injuries reported. 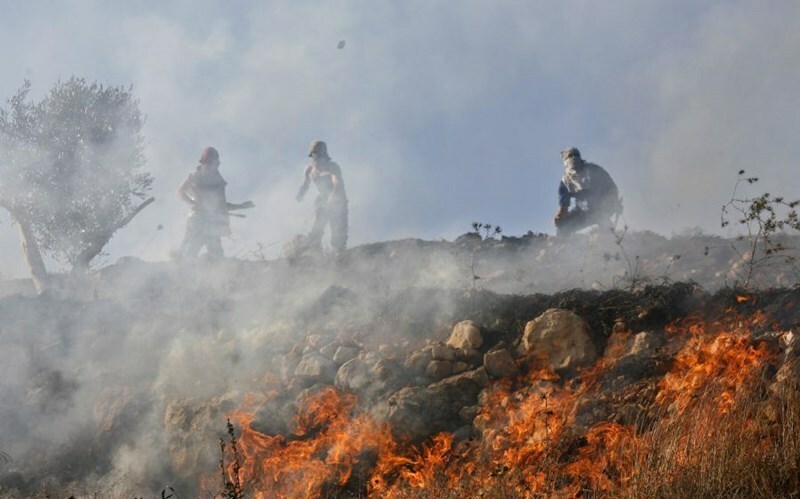 In related news, several Palestinians suffered the effects of tear gas inhalation, after Israeli military vehicles invaded Toura village, southwest of the northern West Bank city of Jenin. The Red Crescent Society in Jenin said several Palestinians received treatment after suffering the effects of tear gas inhalation. 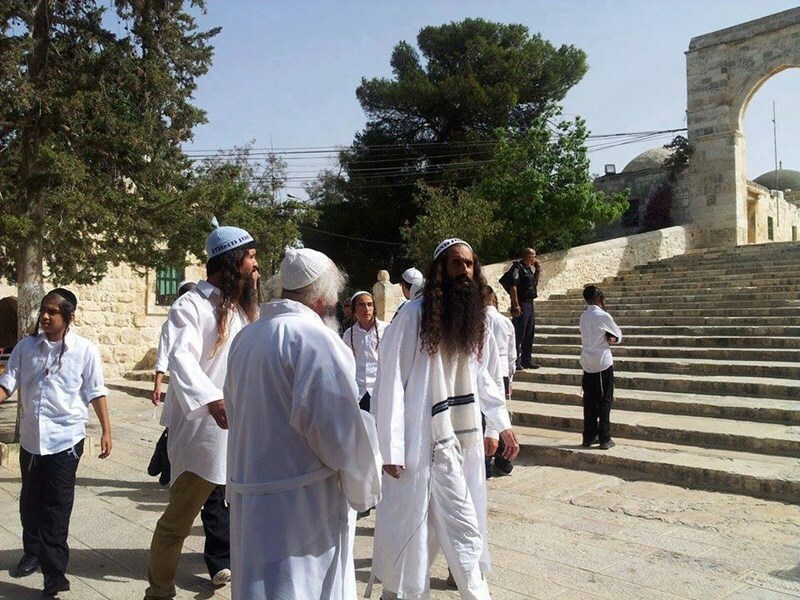 Three groups of Jewish settlers Thursday stormed the plazas of the Aqsa Mosque in response to Jewish calls for performing Talmudic rituals at the Muslims’ holy site. 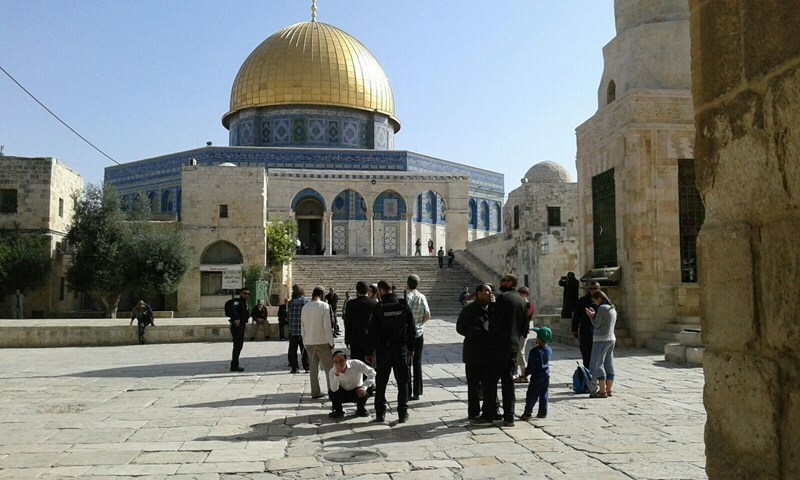 Jerusalemite media sources revealed that 36 settlers desecrated and roamed the courtyards of the Mosque under the protection of Israeli police. Muslim worshipers confronted the Israeli settlers’ incursion by chanting “Allah the Greatest”. Israeli police confiscated the IDs of worshipers who had been sitting-in at the Aqsa since the morning hours in order to confront Jewish settlers. The Israeli Occupation Authority (IOA) had boosted its restrictions against the Palestinians in Occupied Jerusalem. Meanwhile, Israeli policemen rounded up a youngster after assaulting him and took him to an investigation center in the Old City of Jerusalem for driving a tractor in the area. 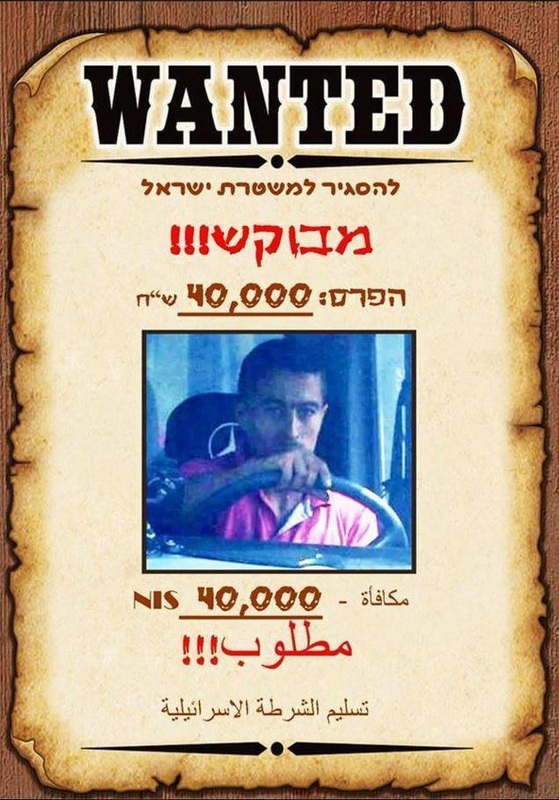 A Jewish settler published an advertisement offering 40,000 shekels which equal $10,000 as a reward for turning in the Palestinian who ran over a settler two weeks ago at Fuar conjunction in southern al-Khalil to the Israeli police. The settler who is called Asaf commented on the Facebook page of Israeli Walla news that he knew the settler Abraham Asher Hasno, who was hit by the Palestinian, during his work in Atnial settlement. A Palestinian youngster performed a hit-and-run operation against Hasno as he was practicing riot against Palestinians. 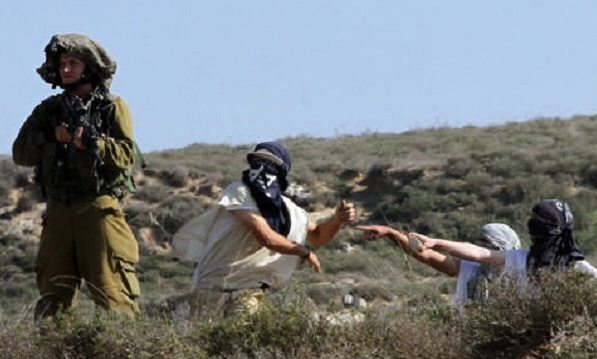 Photos showing his abuse of Palestinians were published online. The Palestinian youth who was driving a bus ran over the settler then turned himself in to the Palestinian Authority’s forces in al-Khalil. Dozens of Palestinians including children got injured by Israeli rubber bullets and suffered suffocation by tear gas in clashes erupted in Qusrah town to the south of Nablus. Eyewitnesses told the PIC reporter that the clashes broke out in the wake of Jewish settlers’ attack on Palestinians and their houses in the town under the protection of Israeli forces. Calls for help were declared by speakers of mosques asking residents of the town and other nearby villages to confront settlers’ attack, the eyewitnesses said. In challenge to the international community, Israeli government has doubled settlement contraction in occupied West Bank as Israeli settlers’ numbers have reached 655,000, Palestinian rights activist said. The official responsible for monitoring settlement activity in the northern West Bank, Ghassan Douglas, told reporters in a press conference held Wednesday in Nablus that Israeli authorities have notified recently ten Palestinian homes, housing 70 Palestinian citizens, with demolition as a prelude to hand them to Israeli settlers. Ten Israeli settlements and outposts have been illegally built at the expense of Palestinian lands in Jalud village after hundreds of local residents were forcibly displaced, Douglas pointed out. Dozens of Palestinian homes were demolished under the pretexts of being built without permits although many of those demolished homes were built before the establishment of the Israeli state, he underlined. He stressed the urgent need for an international intervention to put an end to the Israeli demolition policy. He also called for organizing sit-ins and rallies in Jalud village in protest against Israeli racial discrimination policy against Palestinian villages. For his part, head of the village council Abduallah Haj Mohamed pointed out that Palestinian local farmers are prevented from having access to their agricultural lands as 85 per cent of the village's land was confiscated by Israeli authorities. 32 Israeli extremist settlers Wednesday stormed, in groups, the plazas of al-Aqsa Mosque, in Occupied Jerusalem, under heavy police protection via the Maghareba Gate. The Muslim sit-inners and worshipers chanted “Allah the Greatest” in order to confront settlers’ incursion into the Muslims’ holy site. Eyewitnesses revealed that Israeli policemen have secured settlers for several rounds for no less than half an hour for each group in the early morning hours. One of the guards of the Aqsa Mosque confronted a Jewish settler who tried to perform Talmudic rituals inside the Aqsa Mosque despite Israeli police protective measures. 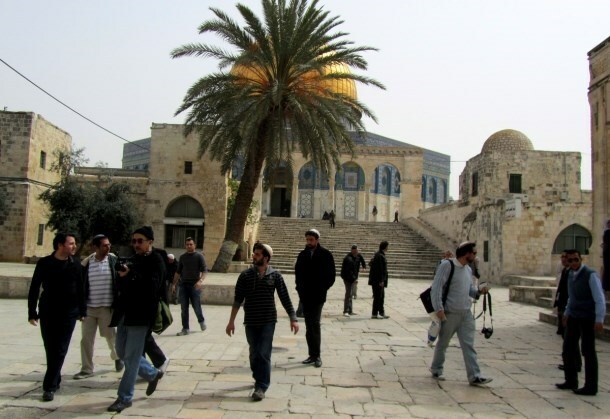 Tension ran high Tuesday morning at the Aqsa Mosque in the wake of Jews’ attempt to steal stones and soil of the Mosque and perform Talmudic rituals at the eastern side of the holy site. 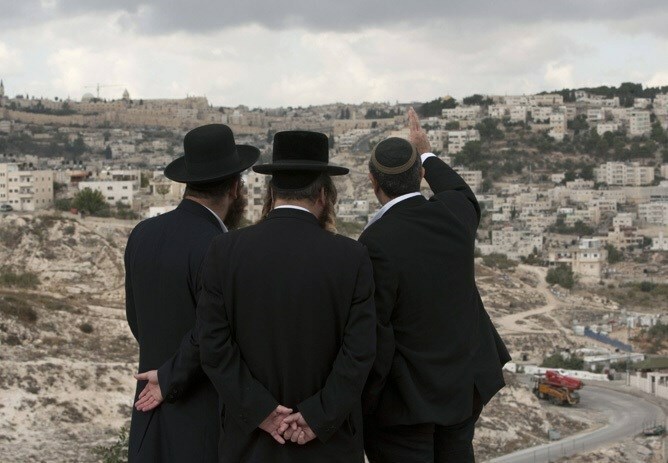 Eyewitnesses revealed that a group of Jewish settlers pretended to be foreigners and wore Jews’ kippahs. They provoked the guards of the Aqsa Mosque along with Muslim worshipers by performing Talmudic rituals in the Aqsa leading to altercations between both sides. 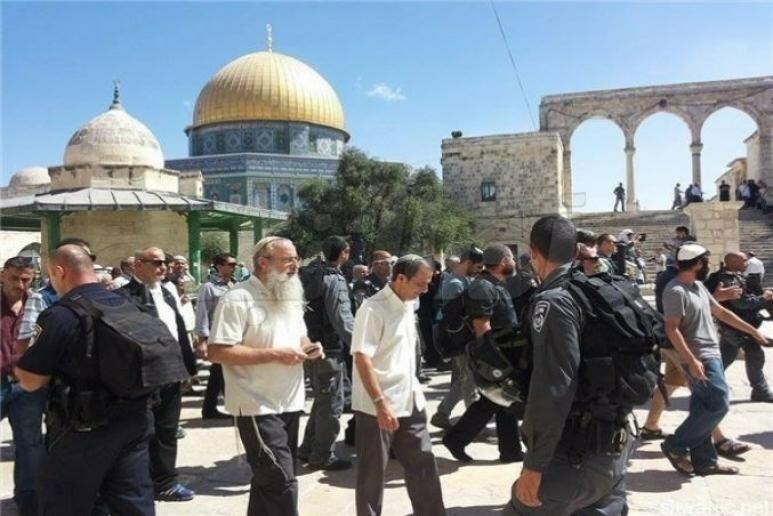 The manager of the Aqsa Mosque Sheikh Omar Kiswani condemned settlers’ provocative practices at the Aqsa Mosque and said that he filed a complaint with the Jordanian ministry of endowment asking for immediate intervention in order to end such violations. Sheikh Kiswani underlined that Israeli incursions into the Aqsa Mosque never stopped, adding that Israeli policemen are still barring Palestinian women and youths from smooth entry and prayer at the Muslims' holy site. 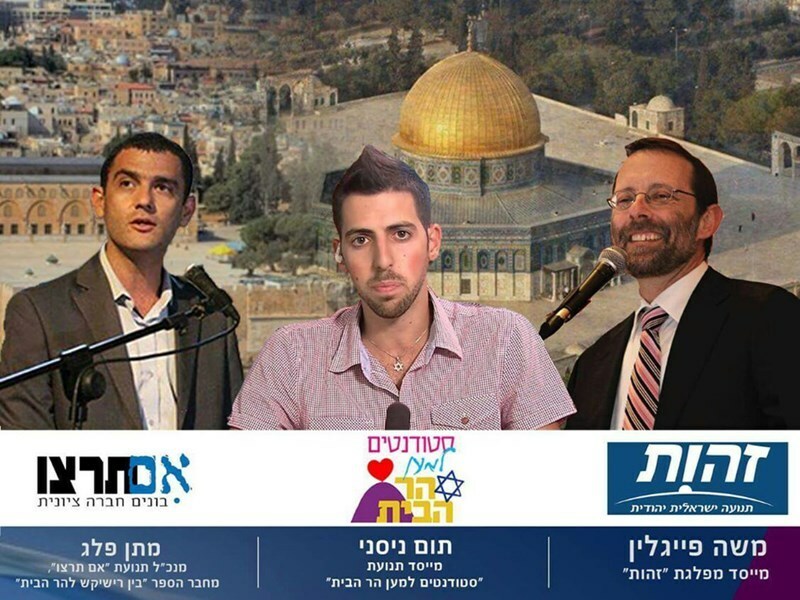 The “Temple Mount Youths” declared its intention to hold a meeting in Jaffa next Thursday to discuss the issue of the alleged “Temple” with the participation of MK Moshe Feiglin. Israeli police and intelligence services have earlier declared rejection to provide security for the scheduled meeting. The meeting’s organizers have received an advice from the police warning against the serious consequences of holding the meeting in Jaffa. Such meetings and issues would ignite tension and clashes in the city, the police warned. Despite the police’s warnings, the group renewed calls for holding the meeting as scheduled with the possibility of changing its location. Commenting on the issue, head of the Islamic Supreme Authority in Jaffa Mohamed al-Ashqar said that the meeting, if held, would be in provocation to the Palestinian people in Jaffa, who are well known by their support for al-Aqsa Mosque and occupied Jerusalem. He emphasized that al-Aqsa Mosque will forever remain solely for Muslims. 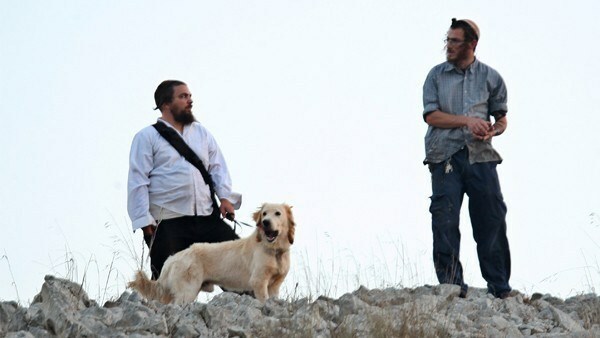 An Israeli settler, early Tuesday, was seen unleashing a number of stray dogs at the eastern entrance of the town of al-Khader, south of Bethlehem, before he fled the scene, according to local sources. Ahmad Salah, coordinator of the Anti-Settlement Committee in the village, said an Israeli settler was seen releasing a number of dogs from his car as he approached the entrance of the village in the early morning hours. The settler then forced his way out of the village immediately. Salah said villagers in al-Khader recently experienced growing numbers of stray dogs; many locals have been attacked by dogs in the past few days, according to WAFA. In July 2012, the Arab Organization for Human Rights in Britain (AOHR) revealed that illegal Jewish settlers and the Israeli forces in the West Bank release wild pigs on Palestinian farmlands. The organization noted that this was part of the settlers' efforts to drive the Palestinians from their land in an act of “ethnic cleansing”. According to the human rights group, the pigs generally begin their 'task' at sunset; Palestinian residents living near the illegal settlements are usually taken by surprise when they are attacked by groups of the pigs, which go on to damage their crops and terrorize their children. 'The eradication of the pigs requires trained teams to use toxic bait and other means that need external support in light of the Israelis' deliberate refusal to provide any assistance,' it said.